Partners | Edward B. Walsh & Associates, Inc.
Edward B. Walsh (Barry) is president and founding partner of Edward B. Walsh & Associates, Inc. (EBWA). Since founding EBWA in 1985, Barry has continued to provide consistent quality civil engineering and land surveying services to a large number of private and municipal clients in the Delaware Valley area. 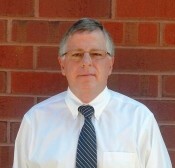 Barry is a registered Professional Engineer in the states of PA, NJ, DE & MD. He holds a Bachelor of Civil Engineering from Villanova University, as well as a MBA from Saint Joseph’s University. Barry is a member of the ASCE, Main Line Builders Association and Chester/Delaware & Bucks/Montgomery Counties Home Builders Associations. He was also the former president of the Lionville Professional Center Condominium Association. Barry resides in Berwyn, PA with his wife, and has two sons, four grandchildren and three grand-dogs. In his spare time, Barry enjoys golfing and spending time at the Jersey shore. Theodore J. Gacomis (Ted) is vice-president of Edward B. Walsh & Associates, Inc. (EBWA). Since joining the firm in 1988, he has provided comprehensive engineering services with his hands on approach for both municipal and private clients. Ted is registered as a Professional Engineer in the State of Pennsylvania and is registered as a Certified Professional in Erosion and Sediment Control (CPESC). Ted has a degree in engineering from the Penn State University, continuing education courses at Drexel and consistently attends workshops/seminars to further his education. Ted is a member of the National Society of Professional Engineers, Main Line Builders Association, an Associate Member of the Chester County Association of Township Officials and the Pennsylvania State Association of Township Engineers. 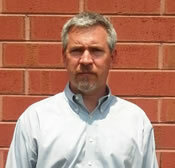 He serves as an engineering consultant for Habitat for Humanity of Chester County. He is director of construction for a NGO, Operation Honduras, which physically builds schools and medical clinics in Honduras. He is a member and past president of the Rotary Club of Central Chester County and has served on other boards such as the YMCA and the Housing Research Board at the Penn State University. Ted also serves on the Board of View for the Chester County Court system. Ted resides in Chester Springs, PA with his wife and is active in his community as a member of the West Pikeland Township Land Trust and Chairperson of the Open Space Committee. In his spare time, Ted enjoys woodworking, travel and helping friends. 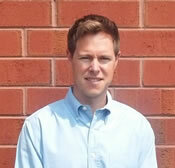 Andrew Eberwein (Andy) is a project manager and partner at Edward B. Walsh and Associates, Inc. (EBWA). Since joining the firm in 1993, he has been providing cost effective professional design services to many of EBWA residential and commercial builders and developers in the Philadelphia metropolitan area. He prides himself in being up to date on all new regulations and design techniques to help keep EBWA on the cutting edge of engineering design. Andy holds a Bachelor Degree in Geography and Environmental Sciences from Shippensburg University, as well as a Master Degree in Urban and Regional Planning from Pennsylvania State University. Andy is a member of the Western Chester County Chamber of Commerce and the Chester County Chamber of Business and Industry. Andy resides in West Caln Township with his wife and their two daughters. In his spare time he enjoys golfing, playing basketball, attending his daughter’s collegiate sporting events and spending time at the Jersey shore. Adam Brower is a project manager and partner at Edward B. Walsh and Associates, Inc. (EBWA) with the responsibility for the preparation of residential, commercial and industrial land development and subdivision plans covering all components necessary for approval by local, and state agencies as well as the specifications necessary for construction. 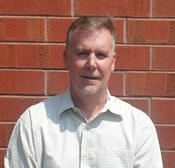 Adam has been performing site designs since he started at EBWA as an intern in 1988. He is a registered Professional Engineer in the state of Pennsylvania since 1997 and holds a Bachelor of Science in Engineering from Temple University. Adam is a member of the Chester County Engineers Organization where he has served as the Vice President on the Board of Directors since 2007. In addition, he is a member of the Chester / Delaware Home Builders Association where he serves on the Legislative Action Committee. He is a member on multiple DEP Committees. 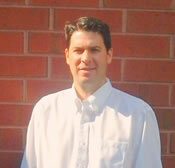 Adam resides in Kimberton, PA with his wife and three children. In his spare time Adam enjoys golfing, kayaking, fishing, skiing and spending time at Ocean City, Maryland and upstate Pennsylvania. Daniel Daley (Dan) is a project manager and partner at Edward B. Walsh & Associates, Inc. with over 23 years of design and management experience serving both municipal and private clients. Dan joined the firm in 1994 and has a broad range of experience with land development consulting and regulatory approvals. Dan’s expertise ranges from providing design services for residential / commercial projects, streetscape improvement projects, and trail improvement projects to preparation of municipal ordinances and expert testimony. Dan is a Professional Engineer licensed in the State of Pennsylvania and holds a Bachelor of Civil Engineering degree from Villanova University. Dan is an active volunteer at East Goshen Township, serving as the chairman of the Planning Commission, chairman of the Open Space and Recreation Task Force and vice chairman of the Comprehensive Plan Task Force. Dan also volunteers his time at various local youth sport organizations. Dan lives in the West Chester area with his wife and three children. Stephen J. Sauselein (Steve) is a project manager and partner at Edward B. Walsh & Associates, Inc. with responsibility for the development of residential, commercial, and industrial improvement projects for private and municipal clients throughout the tri-state area. Steve is a Professional Engineer licensed in the State of Pennsylvania with over 30 years of experience in the industry. He holds a Bachelor of Science Degree in Civil Engineering Technology from Spring Garden College. 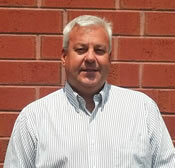 Steve is a member of the Home Builders Association of Bucks/Montgomery Counties. He resides in West Chester with his wife and their four children. When not working, he enjoys exercising and spending time with his family. Ed Walsh serves as controller and partner at Edward B. Walsh & Associates, Inc (EBWA), with responsibility for overseeing the day to day financial activities and operations of the firm. 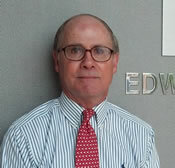 Ed joined the firm in 2002, and has been involved in all aspects of business management functions for EBWA. Ed holds a Bachelor of Science degree in Finance from Saint Joseph’s University (SJU). He is a member of the SJU Real Estate & Construction Alumni Chapter and attends various events at the Chester County Chamber of Business & Industry, Exton Region Chamber of Commerce and the Chester County Economic Development Council. Ed lives in West Chester with his wife and their three children. When not working, he enjoys golfing, running and weekends down the shore.